Sugar cane eau de vie produced exclusively from fresh sugar cane juice, by fractional distillation and in small batch. 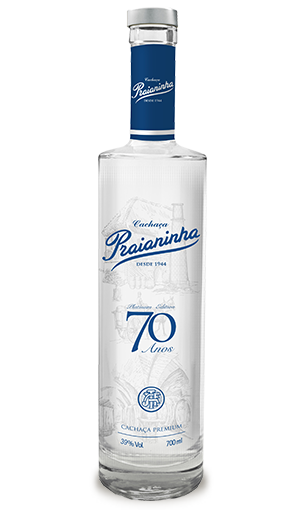 The Cachaça Praianinha is produced by the Thomas de Aquino family distillery in Sao Joao da Barra, in the Campos region at the north of Rio, traditional place of the sugar cane cultivation. Very aromatic and fruity nose with floral and citrus notes. At the tasting, it reveals a round and fluffy flavor, with an end of mouth tonic.